Conservative MP Mark Francois says he is "not frightened" of the backlash to comments he made last week, in which he accused the Airbus CEO of "German bullying". Appearing on the breakfast show with Julia Hartley-Brewer, the politician defending saying: "My father was a D Day veteran, he never submitted to bullying by any German, neither will his son" during an interview on the BBC's Politics Live show. 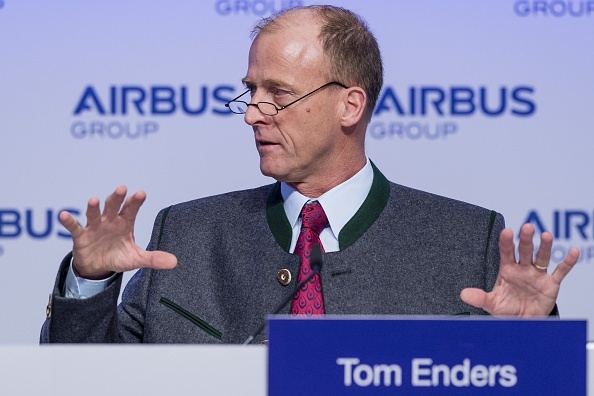 His comments followed a letter sent to MPs by Airbus chief, Tom Enders. "He called the Brexiteers mad, and do not listen to the madness of the Brexiteers he wrote, then basically said if you don't vote the way we think you should I'm prepared to take 14,000 jobs out of the UK," Mr Francois recounted. "That to me is bullying in my book, so I thought you've got to be called out pal. I'm not going to let you get away with that." Despite facing criticism for his comments, he told Hartley-Brewer he "absolutely" stands by what he said. He added: "I don't think it's right that a chief executive of a large company, who is not British, who did not vote in the referendum, can issue a public document like that trying to bully British MPs to vote one way or another in the British House of Commons. "I called him out on it, It has led to quite a row but I'm not frightened of that row because I was elected by my constituents to vote in what I believe to be their best interests."